Grace is a full-time mom to two Little Feet and a fur ball. She's also an Arts Education author and freelance blogger. She's passionate about Art Education, and studied Art and History of Art in School, University and then at Post-Graduate level. 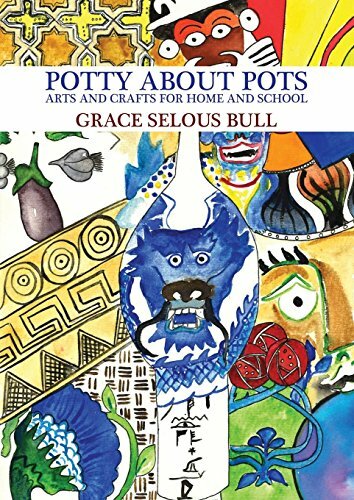 Grace just published a new children's book – Potty about Pots. It's full of fun hands-on projects and amazing information your kids will find fascinating! If you'd like to see more from Grace, check out her Blog, Instagram, and Facebook! In Potty About Pots, each chapter teaches you and your Little Feet about a period of ceramics that is particularly notable in history. Each concludes with two art and craft activities. Each craft has been inspired by pieces from that chapter and use different materials and methods. It is not an exhaustive history and lots have been missed out as I couldn’t possibly include it all! It is just a taste to inspire and wet your creative appetites. The aim of the book is not to create ceramics or to become ceramic experts. 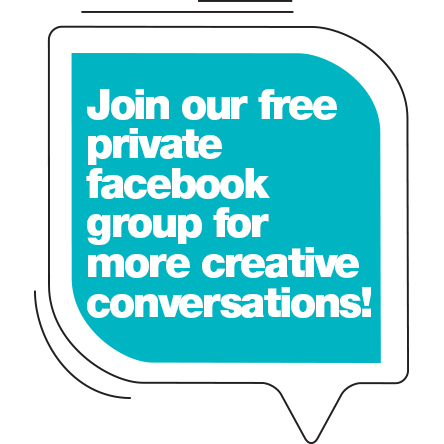 Its aim is to show people the extent that art can be used as a tool for all learning. Art is not just paintings. Humanity has created art since the beginning and it wasn’t restricted to paintings. I believe we should use the whole art world and all it encompasses as the foundation for a child’s learning. Art can be used to teach so many subjects: language, maths, science, politics, history, geography, design, religion, you name it. The options are limitless and the pool of knowledge to be dipped into is and should be exciting. Today we will explore with you a civilization and their pots that I didn’t include in the book but that caught my attention the first time I saw one and hasn’t left my imagination since. The Marine Style was made by potters in the Minoan Civilisation 3000BC-1100BC (now Crete). They are beautiful and stand for more than just frivolous art for art's sake. They have captured the essence of marine sea life that lived and still do in the shores of Minoa and today’s modern day Crete. Crete is an island located off the coast of Greece. The island is small in size, isolated and it’s history shows one of volatility. It was named Minoan, by Sir Arthur Evans, after the mythical King Minos. I wonder what they called themselves when they lived? Like with many places in the Neolithic Age, their simple pots made to hold and preserve food and liquids became surfaces to create beautiful designs. Over time the shape of pots evolved from being utilitarian to more exciting and elaborate forms. Many different types of pots and designs were created, however we shall be concentrating on the Marine pottery style. Crete is surrounded by the sea and the sea is filled to the brim with wildlife. It inspires artisans in this day and age, so it is no surprise it did all those years ago. Potters were clearly very in touch with the nature around them. They seem to instinctively have a pull to it’s beauty and natural vitality. The Minoan economy would have completely depended on the sea and so respect for it would have come hand in hand. By 1500BC Marine pottery had come into it’s own. The surface of pots became covered in sea creatures. Octopus, argonaut, dolphin, starfish and seaweed were all common subjects. The most famous image on their ceramics and for this era is the octopus and argonaut. Potters created Octopus Flasks where the shape and subject’s representation undulate and glide together simultaneously. This octopus took my imagination and swam away with it. Those sprawling legs were so entrancing that during a trip to an aquarium I stood transfixed in front of the octopus tank watching its suckers on the glass as it moved around. It’s no wonder potters championed them in their creations! So, octopuses it was and so we shall be inspired by them in our art activities, just as those potters were all those thousands of years ago. Let us start with some Biology. As David Attenborough has shown us over the years and decades, our world and the animals in it are vulnerable. The more we can learn about them the better. So with this in mind, we start by learning some facts about the octopus, and then afterward, we will appreciate its form by creating some octopus art. They have eight long legs/arms which can be regrown if severed. They’re cousins to the squid. Have three hearts and blue blood! Their life expectancy is 1-2 years. They darken the water around them by shooting ink colors fluid from their bodies, to confuse their enemies. The ink blinds and irritates, but it also disrupts their prey’s sense of smell and taste. They have camouflage skills of grey, brown, pink, blue and green. Crabs, lobsters an shrimps are some of their favorite foods. There has been a reduction in their food due to humans overfishing, sea populations, and habitat destruction. Now for the arty bit! Most families have children of various ages and it can be difficult to do one activity that suits the abilities of all of them. I have created three variations of the same activity: one for 3+ years, one for 5+ years, and one for 8+ years. Show your child some pictures and videos of octopuses as you talk about them. Talk about their legs, how they move and curl, their bulging eyes and suckers on their legs. Let the adult in charge design an image of an octopus, making sure that you get legs in with the suckers on the underside of them showing. Draw it out on your white paper in pencil. If your child is capable enough, get them to draw over the pencil lines with a black pen. This is good writing for them as they practice controlling their writing implement. Don’t worry if they don’t do it perfectly. Once the image of the octopus is drawn out get your child to dip each cereal hoop into the bowl of PVA and stick it on to the relevant octopuses legs. Continue until the legs are completed. Allow the art to dry. Stand back and admire the artwork. See how the cereal hoops look like their suckers? This process introduces your children to the art of printmaking, in an easy and simple way. So what is printmaking with lino? Artists use cuts of lino (linoleum), which are then cut into with special tools. Once completed they are inked and paper is placed on top of them. They are then pressed to transfer ink to paper. Erich Heckel (1883-1944), Pablo Picasso (1881-1973) and Henri Matisee (1869-1954) to name but a few artists, that used Lino Printing in their art practice. Design your octopus. Think about how they look in photos, think about the legs curling up and how the would look in your design. Practice your design on some paper first. When you are happy with your design on paper, put it to the side and with your felt tip pen draw out the image again on to your styrofoam sheet. Draw lightly so as not to pierce the sheet. When your design is drawn on to the styrofoam sheet it is time to use the sharp pencil. With the pencil, trace the lines by piercing the styrofoam. You want to leave little moats in the foam. Don’t press so hard that it goes through the back of the sheet. Pour some ink onto your paint palette and roll your roller in it until it is all covered. Roll the paint covered roller over the top of the styrofoam. See how the pressed lines remain white with no ink on them? This will make your print. Make sure that you roll ink all over the styrofoam so that all of the styrofoam is covered with no part showing. Put your paper on the table and carefully pick up your inked up styrofoam. Turn so that the ink is facing down. Lower it onto the white paper and gently but firmly press all of it, not missing any parts. Slowly lift the styrofoam up and see your creation! This activity is the step up from the above one. They will have their first experience actually printmaking how artists do it, using lino cuts and tools. Health and Safety: This activity is developmentally specific. The tools they will use can be sharp so the age specified is only advisable for you the parent. If you think your child is not trustworthy with handling tools sensibly then I would do the second activity with them and wait until they are a little older. Draw out the design you would like to do on paper first. When they are happy with it, draw it on the smooth and shiny side of the lino (follow instructions on packet). Use the rubber/eraser (depending on where you are from!) to correct any mistakes. An important point to make at this point is that whatever part of your image you cut out will be left white when you print it. This means the ink doesn’t touch it. So every part of the design you leave with be inked and printed. The octopus illustrated in the example images is mostly white. This is because all those white details were cut out from the lino. Think about what parts you want to in white and which in black. Do you want the octopus to be black and none of the background to show? Then you need to cut away all the background. Youtube will be your friend here if you visually need to see what I mean. There will be lots of different types of Lino cutting blades, some in a V shape, others in a U and lots of different sizes. All cut differently. Experiment with them on one of the Linos you have. Why not create some patterns using all the blades and print them and see what they look like? Follow the tool instructions to make sure the blades are secured properly. When you have decided what part you want to be printed, the start to cut your lino with your tools. When they have finished cutting, load up your paint tray with lino ink, roll it out with your roller and roll over your finished lino cut. Make sure it is all covered with equal amounts of ink. Flatten out your canvas bag on the table and press your lino, ink down on to the bag where you want it. Gently but firmly press all over the lino so to transfer all the ink. It is tricky, but even if the ink isn’t even when you lift it up, the overall effect is still there. Leave to dry and then use! I want to extend a big thanks to Grace for this amazing lesson and fun ideas! If you'd like to explore more projects like this with your kids, you'll LOVE her book! It's available at bookstores everywhere. You will find so many amazing ideas to go along with your studies in geography, history, science, math, and more! Pottery is a fabulous way to connect all of the different subjects you study throughout the year, and these connections really enhance the learning and take it to the next level. If you have any questions for Grace, you can reach out to her on her website, on Instagram, and on Facebook! Have fun exploring pottery and ceramics with your kids! !